Oh, friends….I’ve missed you. I have been quiet on here lately and if you follow me on social media, you may know why. I may share more in a later post, but for now I’ll just say that I haven’t had the words. I haven’t felt like inspiring or encouraging. I haven’t felt like organizing my home or being very social. Instead, I have looked to others to inspire me during a hard season in my life. These ladies that I am going to introduce you have done just that. Without any of them realizing it, they came into my life at the perfect time…God has a way of doing that, doesn’t He? I connected with them on Instagram, and have since been pouring over their blogs, soaking up the truth and encouragement that I needed. 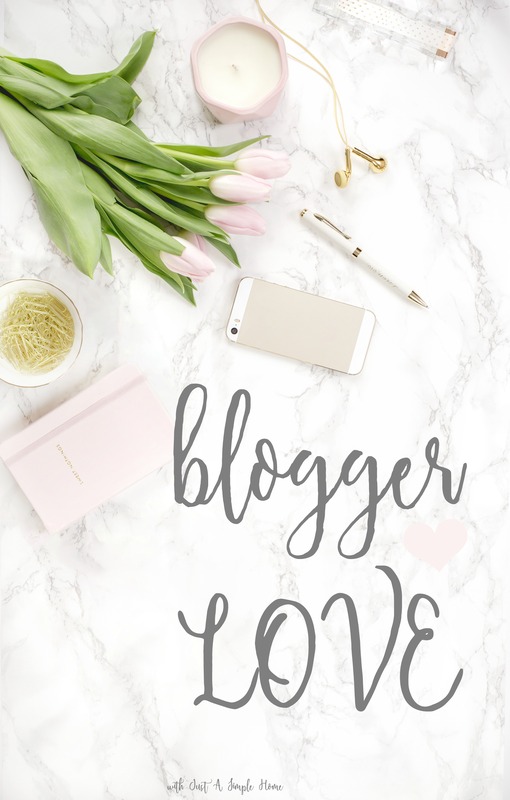 This week’s Blogger Love may look a little different to some of you. If you have been following this series for any amount of time, you’ll know that the posts I share here are those posts that my heart has needed for encouragement. I hope that the beautiful women encourage you in the way your heart needs it most. This was a hard one for me to read. Too close to home, too soon…at least in my mind. God had other plans when He directed me to Ashley’s words. Admittedly, I have been stuffing my feelings inside while I have been dealing with the physically healing. I am not one to share my emotions and it is easier for me to just ignore them. I am not doing a very good job of any of that right now; it’s a bit messy. Ashley struck my heart when she said “we have to grieve in order to heal.” I suppose it is time to give myself permission to accept, to grieve, to heal. Thank you so much for including me in this post, Terryn. I pray you start feeling better soon! Keep looking to Jesus to find that sparkle again! These all sound like such encouraging posts. I’m going to pin it so I can read them as I have time. I don’t know what you are going through but i’m sending lots of love and prayers. I hope you have a lovely Thanksgiving. I love how you really incorporate how other bloggers influence and help your everyday life. It really speaks to the mantra #communityovercompetition and I so admire you for that! I also love your authenticity and vulnerability – it’s one of a kind and can’t be replaced. Love it! What a great idea for a post – love the idea of featuring others and lifting them up. Love following you, Terryn! This is great! I can’t wait to click over and read these posts! It is so important to find joy and sparkle in every day. It is especially hard to do that during a difficult time – but I promise there is a light in there to be found. 🙂 I will be praying for you! These are such great posts. I will be saving them to re-read later. Thank you for the share! These all sound like really great posts, I especially loved Amy’s post on joy. I’m so sorry you’ve been going through a hard trial right now, but I’m glad you’ve been able to find some support through the blogging community. I love the excerpt from “When You’re Just Not Joyful” so much. I definitely needed to hear that right now. I hope things start looking up for you soon! Love this. Seeing people build others is great! These are lovely blogs! Thank you for sharing I’m gonna go check them out! Thank you so much for sharing these inspiring posts. My prayers go out to you and your family while you are going through this season. May God bring you peace and heal you. Thank you for sharing Terryn. May you find comfort from Heaven. Beautiful blog–beautiful heart. <3 I love that even in your struggle you are thinking of others and using your resources to offer encouragement even when you are needing it yourself. I've often heard it said, "If you are needing love, give it." "If you are needing encouragement, go encourage someone else". Well, you've done that, sweet girl, and it shows your true colors. God bless you as He holds your hand today. Psalm 37:24 "Though he falls, he will not be overwhelmed, because the Lord holds his hand." I can’t wait to read these! The ways that God directs us to what we need is amazing. Thanks for sharing!